« Ellen Munds – The A B C’s of Running a Storytelling Festival. Your highest vision and the niti gritty of your storytelling practice. What does Vision and Purpose have to do with being a storyteller? How does one find a vision and why is it important? What would a storytelling career look like if the artist in in alignment with ones purpose? On a practical side, once the storyteller has clarified their mission in life, identified a community to serve and method of storytelling to serve them, how does one approach the nitty gritty of running a business as a storyteller? 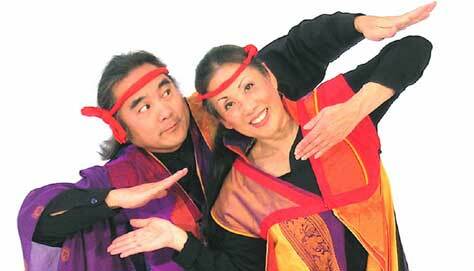 Eth-Noh-Tec with Robert Kikuchi-Yngojo and Nancy Wang explored these issues of the professional touring storyteller during this interview. Whether you are semi professional, a novice or seasoned storyteller, come listen to the challenges of the world of storytelling. 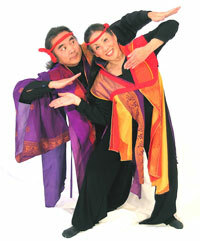 Eth-Noh-Tec, now in it’s 25th year of storytelling talks about their humble beginnings from their first performance at a conference when they were asked “can you tell a story”; to their wide and varied storytelling projects that take them across the globe. Eth-Noh-Tec tours nationally serving schools, storytelling festivals, libraries, correctional facilities, and universities. They teach a weekly course in what they deem “kinetic story theater” classes as well as an annual three day intensive “The Summer Story Institute”. Combining storytelling with cultural and social-political activism they have created several projects: the Forgiveness Project, Green Grows the Story, The Nu Wa Storytelling Exchange project and the India project; all of which are examples of using the power of storytelling to build compassionate communities in a world that hungers for listening. Listen to Robert and Nancy as guests of Eric Wolf’s podcast, the Art of Storytelling as they discuss their Highest Vision and the Nitty Gritty of their storytelling business. This entry was posted on Wednesday, August 8th, 2007 and is filed under Artistic Marketing, Beginning Storytelling Tips, Coaching Storytelling, Episode List, Professional Development, Storytelling in Community. You can follow any responses to this entry through RSS 2.0. You can leave a response, or trackback from your own site.